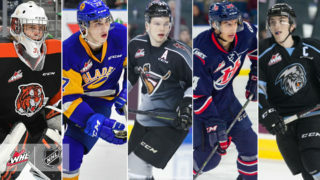 When the Vancouver Giants selected Slovakian forward Milos Roman sixth overall in the 2017 CHL Import Draft they knew that they were drafting a player with enormous upside and a player who’s 200-foot game would translate well in North America. What they maybe didn’t realize at the time is that they were also acquiring a player who’s relentless work ethic would go way beyond the game of hockey. When Roman arrived in Vancouver back in August of 2017 he had little-to-no grasp of the English language. Fast forward to June 2018 and Roman speaks confidently and proudly about his journey up to this point and all that hopefully lies ahead for him as the NHL draft draws nearer. Earlier today he spoke with Giants broadcaster Dan O’Connor about the draft and much more. 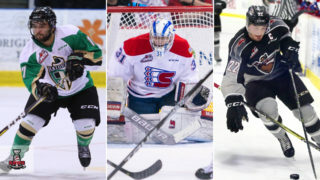 DO: We’re one day away from the NHL draft. In previous interviews you’ve mentioned that you’re excited and nervous but tell us about what your thoughts are heading into this weekend? MR: There’s nothing more I can do other than wait. It’s the hardest part of the draft is waiting to see what will happen. I’m very excited to watch with my family and hopefully it is a successful weekend. I will see what will happen after. DO: Are you able to watch the draft from Slovakia or will you be following along on your computer? MR: Probably on the computer by website. We don’t have NBC or NHL network on tv. 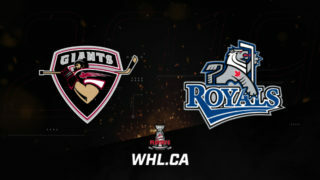 So I’ll watch it on the internet on the NHL website. DO: How special is it for you to share this experience with your family? MR: They are the reason why I am here what I’ve been able to do so far. I’m very grateful that they’ve helped me out and that I can be here and watch with them. They are the reason why I am waiting to get drafted. I am very grateful and I want to say thank you to them. It’s very special for me and I know it will also be special for my parents who have waited a long way to be here. I think they are more excited than me! DO: You went to the combine in Buffalo, NY. The whole experienced sounded like it was so much fun for you. Can you tell us about your combine experience and how much you enjoyed your time in Buffalo? MR: It was great to meet all the players and the top prospects over there. It was very nice to talk with them. Meeting with the NHL teams was a good experience for me getting to show them what I can do. It was one of the best weekends of my life. The meetings were good. They asked me a lot about my family and lots of things. It was nice to meet the people there. There were lots of great organizations. I met with 17 teams. DO: I’m sure when you were in those meetings it provided some good practice for you speaking English. Would you say that having those conversations in English made you feel more confident having been through a difficult experience like that? MR: Yes. I was able to speak English when I was there and I could take care of myself. I’m very grateful to Vancouver because everybody helped me there. When I came to Vancouver at first I didn’t speak English, but when I went to Buffalo I could. It was a very positive thing for me. DO: David Tendeck mentioned that you two are chatting quite a bit, and hopefully David will also get drafted this weekend. 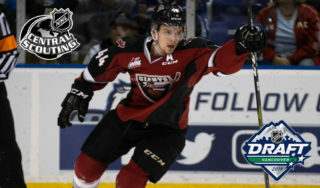 But are you managing to stay in touch with your Vancouver Giants teammates during the summer? MR: Yeah just through Snapchat because otherwise it’s expensive. Sometimes I text them or use instagram. 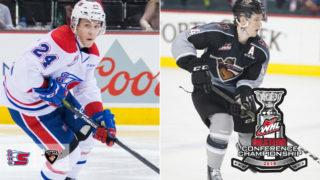 Some days I just say “hi” and “how are you.” So yeah I talk a lot too with over-agers like Darian Skeoch and Ty Ronning. I’ve been in touch with David Tendeck and we were texting because he was in Chicago (. Hopefully he gets drafted and I will cheer for him. 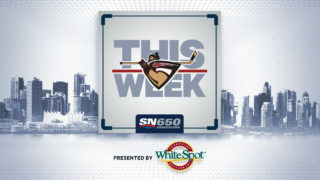 DO: I know you’ve still got a busy summer planned, but how excited are you to return to Vancouver and take the ice again with the Vancouver Giants next season? MR: It will be very good because when I came last year I was nervous and I didn’t speak English. So I didn’t know what I could expect there. But this season will be different because I know what to expect and how hard it is to play there. So it will be very cool to go back. I’m very excited. DO: Lastly Milos, what would it mean for you to be drafted by an NHL team? MR: Every day after school I travelled to the Czech Republic (from Slovakia) to play hockey. It was very hard for my parents. They spent so much time, and so much money for both my brother and I to play. Draft day is going to be a very special day for my family. We are all excited about it. Every player wants to get drafted. Every player wants the chance to show what they can do. This is only one part, but if I get drafted I will work hard to get better and better every day. My dream is to play in the NHL.